When we file bugs with the NetBeans IDE issue tracking system, and when they are resolved, we get a mail as above. 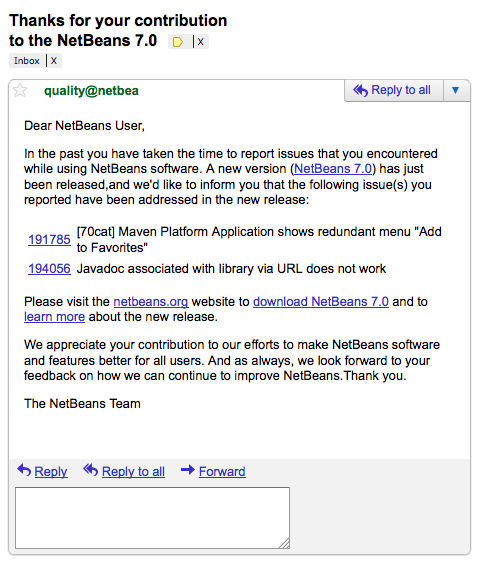 After a major release like the current release NetBeans IDE 7.0 the NetBeans quality team send such messages to the reporters of the bugs which got resolved. This is a very good feature and I liked it. It feels like someone is really listening and coming back with solutions.